With the cold winter right around the corner, now is the perfect time of year to do your own roof and shingle inspection! While it only makes sense to take a look at your roof several times throughout the year, just ahead of winter is the most important time, since snow and ice can easily turn small and simple to fix problems, into leaking roof nightmares! In this DIY Reviews article, we are going to take a step into our home improvement section and jump up to look at our roof! It only takes 15 minutes to give it a quick inspection before the winter months get started, so put on your work boots and a good pair of gloves, and lets get started! Never Go on the Roof When Home Alone! Always Have a Helper On the Ground! Always Have Your Helper Hold the Ladder when you Go Up or Down! Carry A Cellphone or Some type of Radio! Wear Work Boots or a shoe with a Rugged Sole! Hat & Safety Sunglasses to Shield the Hot Sun! Wear a Tool Belt to Make Sure your Hands are Free, or raise and lower tools with a bucket and rope (have your helper assist with this)! Always Carry a full bottle of Water in Case You Get Stranded! Always make sure your Ladder is In Good Condition and Set Up Properly! Walk Carefully to Avoid Damaging Roofing Shingles! Owens Corning, the leader in roofing shingles has a great roof safety guide. While it is geared more to professional roofers, there is quite a bit of information the homeowner can take from it as well! Extension Ladder in Good Working Condition and Properly Sized for your Roof Height! Digital Camera, In Case you Need Pictures for Second Opinions! After you climb onto your roof, you are going to want to look for obvious signs of trouble. There are several reasons a roof leaks, and spotting the biggest is fairly easy. 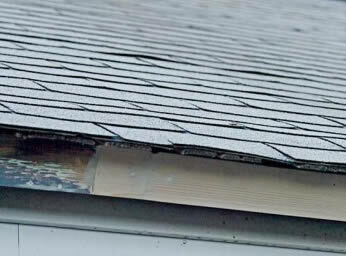 Check all Peaks and Valleys for signs of shingles turned up, or missing ridge vents, or flashing that may be damaged. Check around Fireplaces for flashing failures or cracks that are a sign it needs to be sealed. If you have a Fireplace, check that the fireplace cap is securely fastened, and tighten if needed. 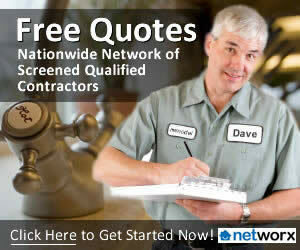 Check around all pipes and pipe boots for dry and cracked sealer. Check around ANY other objects that are fastened to your roof area, these include Satellite dishes, attic vent fans, etc. Tighten screws or set nails as needed. Along with the obvious areas you would find leaking, you should also take the time to clear off any fallen debris from trees off your roof! As you walk around cleaning the roof, inspect the granular surface of the shingles for signs of age. These could include bare spots, or the gutters filled with the pebbles. After you are satisfied the roofing materials are in good shape, take a few minutes to look through the gutters of the home as well. If you can do so, have your helper hand you the hose to your roof and rinse all debris from your gutters. The cost of repairing certain things on your roof can vary by the item and the amount of time it takes to repair. If you are a DIY’er, time is your friend and the only costs you will incur are those for materials. Most general roofing repairs can be done by yourself or a handyman for very affordable costs! Replacement of the entire roof is another story all together, and is generally better left to the pros! Depending on your own roof, the age of your existing roof, the condition of the sub roof plywood and the complexity of the ridges and valleys, the cost to replace your roof can vary widely. In general a roof will last 25-40 years and when its time to replace it, your best bet is to call out a qualified and insured roofing company, so you know you will get another 30 years out of the replacement roof! We all know that there are probably more items to check on your roof, depending on what items you may have installed up there! What else would you check during your roof inspection? You wouldn’t believe how often I hear of people going up on their roof and the ladder falling over. Make sure you have enough angle on your ladder that it stays put once you get up there. Also, remember that it can be a lot easier to walk up a roof than walk down it. If you’re uneasy walking up, you’ll have even more trouble coming back down. Great tips for sure RR, and thank you for coming along and providing them! latter fire trucks and a ambulance had to take my neighbor to hospital. He broke his hand and leg. Definitely take care for sure! Good tip Eddie! Reminds of one of our old neighbors… he went onto his roof to clean his gutters and froze with fear of heights. He brought his cell phone with him and called his wife in the house, who called 911 and the fire department had to come get him off the roof. I laughed when he told me about it… but apparently, he grabbed the fireplace and would not let go. Took 2-3 firefighters to get him off the roof.